Stop me if you’ve heard this recently, but Amazon’s running a supplement sale today. But! This one features Nutrex’s Hawaiian supplements, which we have not seen much of in the rest of January’s fitness-focused Gold Boxes. 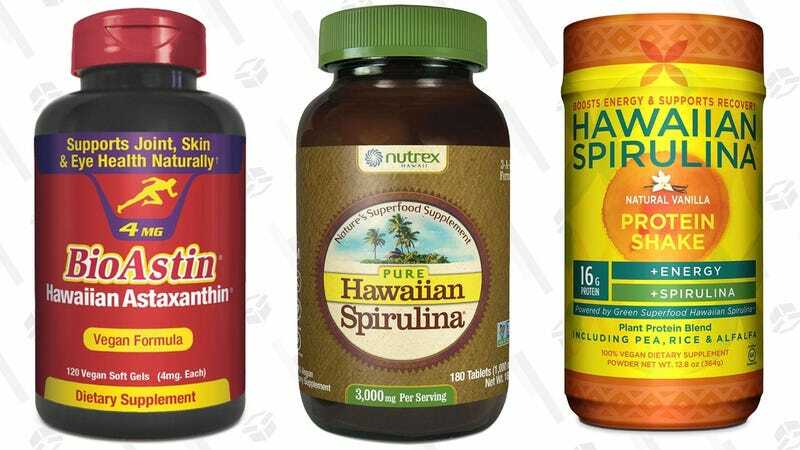 The Hawaiian Spirulina energy-boosting formulations in particular have insanely great Amazon reviews, but check out the rest of the sale for products that support workout recovery, promote eye health, and build muscle.